From Atlas Novus. 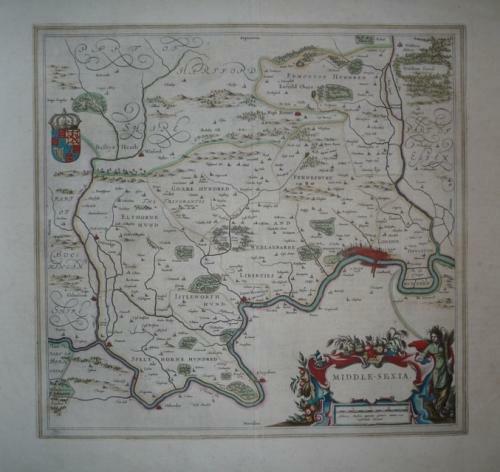 A fascinating and decorative map of the county of Middlesex. The depiction of the city of London is particularly interesting. The title and scale are displayed in a single cartouche with a female figure of a harvester. Royal Arms. The map is bright and is in very good condition.